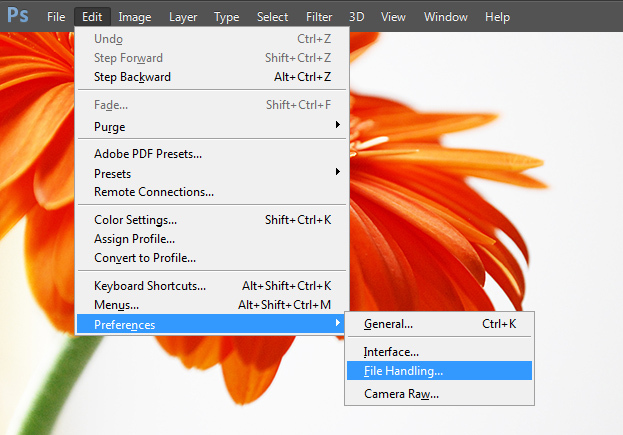 Photoshop CS6 came with many changes including two all new saving options for your work – the background and auto save. Lets see them more closely. 01. If your document is not saved or you have made some new changes from the previous saves, a small star will appear next to your document name. 02. Remember when you used to save something, then you had to wait til Photoshop saved the file and you couldn’t do anything while? Now it’s different. Now Photoshop CS6 saves in the background. You can see the progress in % next to your file name. 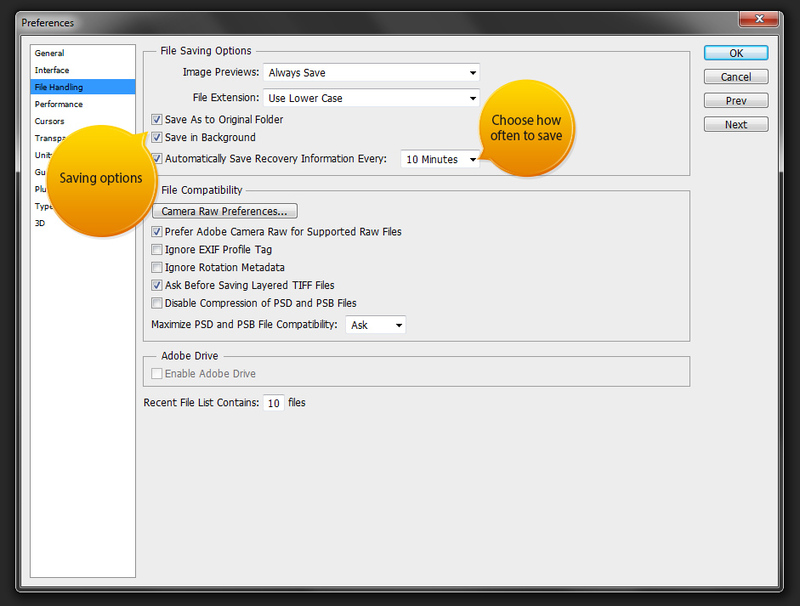 And during the saving progress, you can continue working with the file or open a new one. 03. 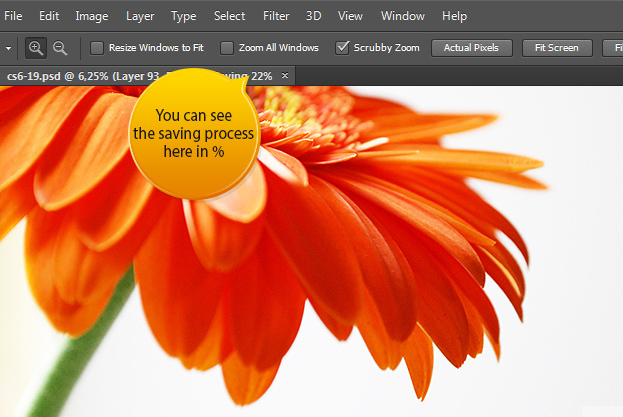 The second new save in Photoshop CS6 is the auto save. 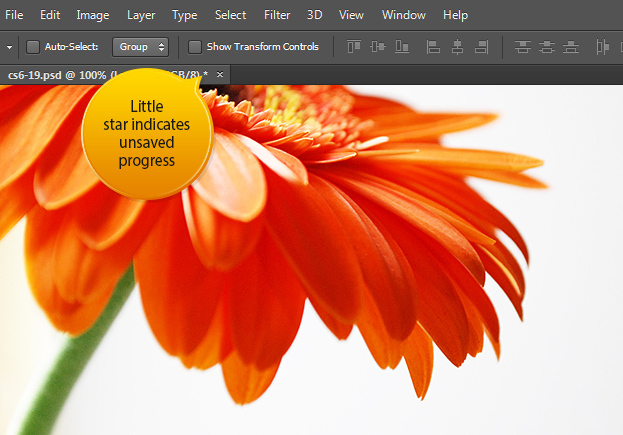 This means that while you are working, Photoshop will keep automatically saving the progress, without you even knowing. To change the auto save options, go to Edit > Preferences > File Handling. 04. A new window will open. There you will see many saving options. One of them is the option to save in the background or not and how often to save. 05. 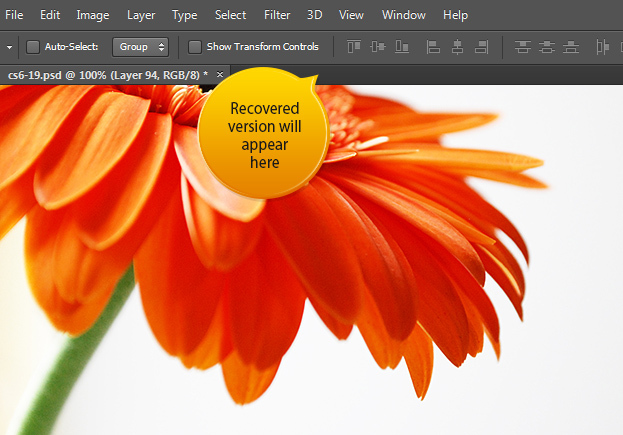 If your Photoshop CS6 crashes for some reason, then next time you will open your file that you failed to save in the end, then Photoshop will open the saved version and the recovered version right after next to your saved file. These two saving options will make your saving more pleasant than ever and may save your work in case of power cut or any other unfortunate event.